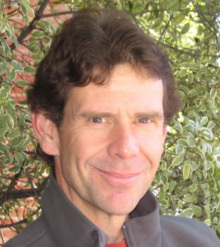 Steve Benz teaches courses in professional writing. After completing his Ph.D. at UNM in 1988, Steve spent two years in Guatemala as a Fulbright Scholar. Later, he wrote for Tropic, the Sunday magazine of the Miami Herald. He has published two books of travel narrative (Guatemalan Journey and Green Dreams), a poetry chapbook, and two ESL textbooks. Along with a second Fulbright in the former Soviet Union, Steve has taught at colleges in Florida, Georgia, and Arizona. He returned to UNM in 2011.